Even as a teenager, Dani Roche knew how to turn her personal brand into profit. At 16, Roche ran an ecommerce site, hawking vintage clothing through her uber-popular social profiles. Eight years later, she is putting her skills to work for brands. Roche is re-positioning herself as a creative rather than an influencer as owner of the full-service agency Kastor & Pollux, which is poised to bring in six figures of revenue after its first year. As a fashion personality, Roche inked sponsorship deals with Topshop, L’Oréal and Samsung. 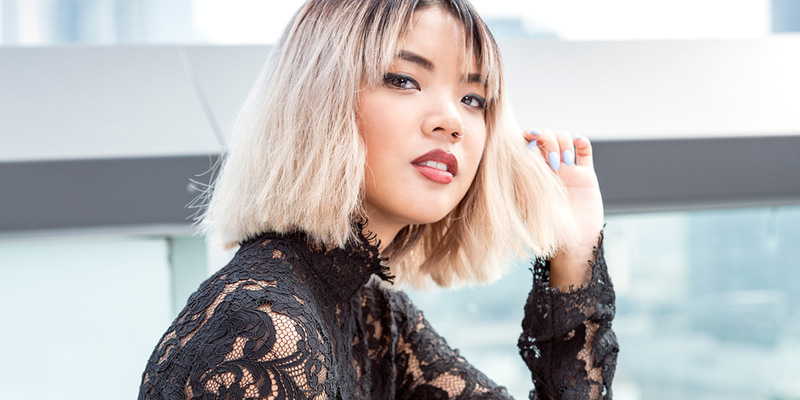 She courted tens of thousands of readers and followers across platforms such as Instagram and LookBook and, at the age of 21, earned a nod from one of the local fashion world’s cultural gatekeepers when she was named to Toronto Life‘s annual best-dressed list. Then last fall Roche, a graphic designer by trade, pivoted and re-launched Kastor & Pollux as a full-service agency. It was a path she was already on, having successfully pitched a handful of clients on hiring her to put on events and craft full social and digital campaigns. From a studio space deep in Toronto’s west end, Roche, 24, now oversees a full-time staff of three and is set to bring in six figures of revenue after Kastor & Pollux’s first full year as an agency. Well before the formal change though, brands were tapping Roche for work outside the scope of traditional influencer relationships. Back in 2013, Topshop hired her to create a video lookbook in collaboration with the artist Tyler Spangler that led to a string of other projects with the retailer. More recently, she led a branded content campaign for the L’Oréal beauty brand Shu Uemura. The early work Roche did for Topshop, alongside then business partner Bianca Venerayan, followed the pitch format that allowed her to transition into the role of agency founder rather than fashion influencer. Topshop reached out after Roche landed on Toronto Life’s best-dressed list, but instead of the staple blogger deal of posing in a few Instagram photos and tagging the brand, she pitched them on a larger execution and, when it was successful, was brought on for further projects. Roche took the same route to turning the financial brand Mogo into her agency’s anchor client. The Vancouver-based “anti-bank” initially called on Roche to produce social content as it looked to build out its presence in Toronto. After that, Roche pitched the brand on hiring Kastor & Pollux to run an event. Mogo tasked her with making banking appealing to her cohort of millennials. Roche enlisted rapper Drew Howard for a performance, dressed the room like a gallery complete with installations and arranged a collaboration with the hip online retailer No Fun Press, which filled candy vending machines with Mogo co-branded swag and cold hard cash. The event attracted 250 people and caused a stir on social media, generating more than 200 Instagram photos and 2.4 million impressions. The event was a success well beyond Mogo’s expectations and over the course of the past two years, it has brought the agency on to oversee its social and experiential marketing in Ontario. Mogo’s spokesperson, Chantel Chapman, explained the bank’s main target is millennails, an elusive group for any marketer, but especially for a financial brand. In Roche, Chapman says Mogo has found a bridge to its demo. “She’s the demo we’re trying to reach and she understands them,” Chapman says, adding that few agencies are able to connect with young, creative class consumers the way Roche can. “She understands that audience like no one else,” Chapman says. Much of Roche’s work is rooted in contemporary, internet-era art. When Scarborough Town Centre came to her looking for a way to boost its cool factor, for example, she built a 200 sq ft. art installation with 20 different vantage points to take an Intagram-worthy selfie. The activation looked like something out of one of the galleries that surround Kastor & Pollux’s studio, but it also delivered major business results, prompting visitors to post more than 200 Instagram photos, resulting in 1.4 million social impressions. In total, the activation reached 435,000 people. Perhaps more importantly, the photos looked like something out of a spread in Rookie or Nylon, delivering the mall the cool factor it was after. Repeating the pattern, Roche quickly won more business from the Oxford Properties-owned mall when it brought her on to boost its social profile when during the re-launch of its food court. Roche found a new spin on the successful art installation by creating a series of floor decals that had visitors facing their cameras down to take shoe selfies. Roche landed her first industry gig right after graduating from university when she was hired as an editor at MTV Fora, a millennial-skewing pop culture blog that was, at the time, presented by Clean and Clear. That led to a second full time gig creating content for brands to sit around when she was hired by Free Agency to oversee The Creator Class, a site that served as a content hub for Canon. Well before that, though, she was using content to drive business results. When Roche and her friend Venerayan started an online store selling vintage and re-worked clothing and jewelry, they promoted the venture on MySpace and LiveJournal. The business was a big success with a low upfront cost, leading Roche to newfound financial freedom as a teenager. Not wanting her parents to know she was spending all her free time in contact with total strangers on the internet – at the time, the business had developed something of a cult customer base in Singapore and Australia – Roche used to hide “wads of cash” under her bed. This early entrepreneurialism was a sign of things to come. And project by project, Roche is launching herself far past the boundaries of being a fashion influencer and turning herself into an industry creative to be reckoned with.